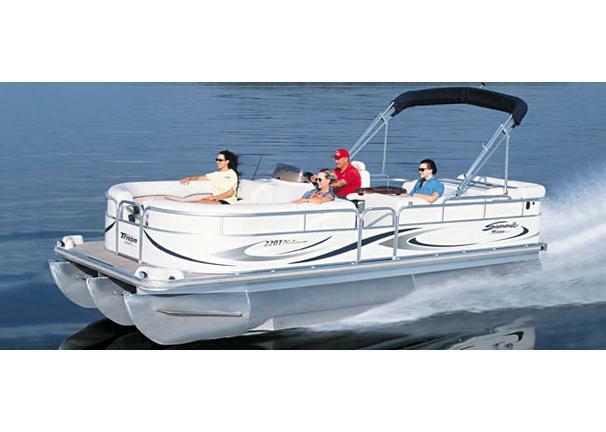 Boat Description An elegant 22-footer, the Triton Summit Pontoon 220 T Platinum sports our famous three-pontoon floatation system for enhanced stability, safety and performance. Its not a gimmick  youll experience the dramatic difference three pontoons can make as soon as you bury the throttle and thrill to the sizzling performance. All this, plus the luxury and creature comforts that have made our Platinum Series the most desired pontoons on the planet.